On the weekends I love to make breakfast – my favorite two items to make are ham and cheese omelets or blueberry french toast and for both I use a frying pan. 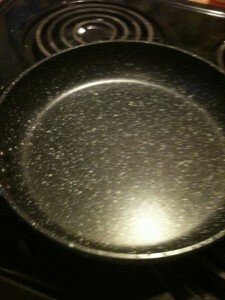 I just started using this great 10″ Stone Earth Pan by Ozeri and I am so glad to have found it. I can’t say enough about this pan ~ I love it! It uses Stonehenge which is a safe and natural stone-derived coating from Germany. 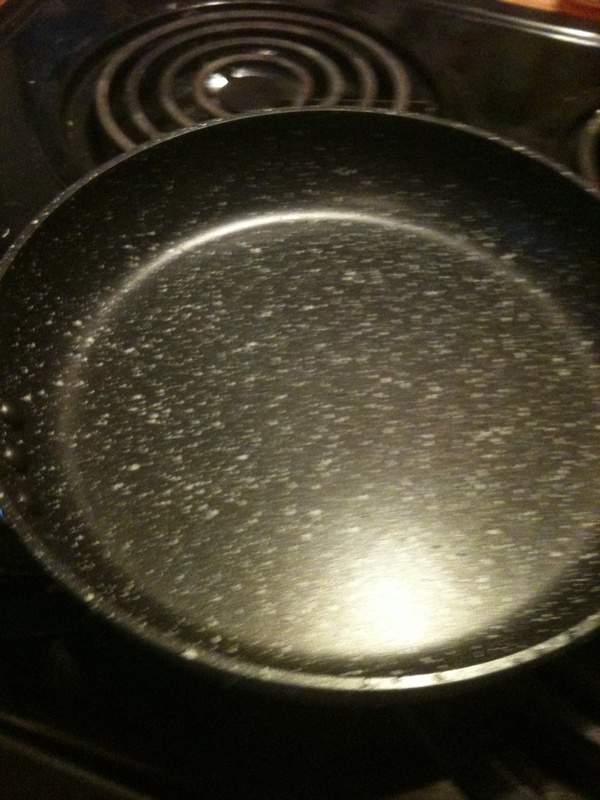 It is non-stick and free of PFOA (PerFluoroOctanoic Acid) which is used in traditional cookware. The pan can be used at high temperatures and no harmful substances are released in to the environment. This is because the Stone Earth Pan uses a natural coating from nature – not a laboratory. There are so many things I like about this pan; it is scratch-resistance, I use half the amount of oil that I normally would, and it is so easy to clean up. Just hot soapy water and a sponge. The Pan is made of the highest quality die-cast aluminum that allows for even cooking and browning with no hot spots. The handle is a heat resistant silicone coating and the bottom magnetized for rapid heat transfer. 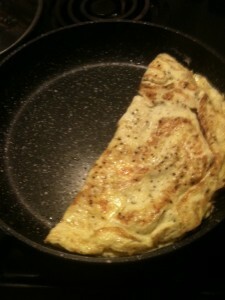 My omelet turned out perfect and slide right out of the pan with no problem. See how it is nicely cooked? The 10″ Stone Earth Pan is the perfect size too! The Stone Earth Pan by Ozeri is my favorite item in the kitchen right now. I am always trying to think of what I should use my Stone Earth Pan for. I think this would be a great investment for any kitchen. It would make a great shower gift for a bride to be. I am sure it will last for years and be greatly appreciated. You can purchase your own Stone Earth Pan to use in your kitchen or buy for a gift HERE on Amazon.com. I am sure you will love it as much as I do mine! 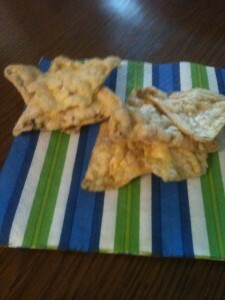 I really like to try new things and I have found a great new snack called PopCorners The new shape of popcorn. 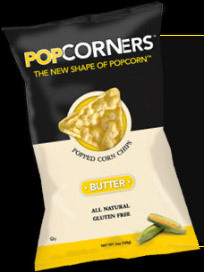 The PopCorners come in 6 great flavors; classic butter flavor, white cheddar, kettle, cheesy jalapeno, sea salt and caramel. It is hard to pick a favorite since they all were good – I think being a Wisconsin Girl I liked the white cheddar the best! They are light and crispy. One of the things I liked the best is they were only 120 calories per 1 ounce serving. They also did not leave you with grease hands when you were finished eating them. Look how crunchy they look! They are all natural, gluten free and have 0 grams of trans fat – so they are good for you too. You can feel good about your kids snacking on the PopCorners and adults like them too. They would be great to have at your next party or get together. You can purchase PopCorners HERE online. They have 1.1 oz size packages which are great for on the go and for lunches and 5oz bags so you can share. There are mixed cases so you can try all the flavors or cases of your favorite flavor. I am sure you will like them as much as I do. PopCorners has offered one of my readers a gift box with a bag of each flavor. To win you must be 18+ and live in the continental U.S. and no PO boxes. For extra entries leave a comment on what flavor you want to try first, following PopCorners on Facebook and for each way you follow Kaisy Daisy’s Corner. 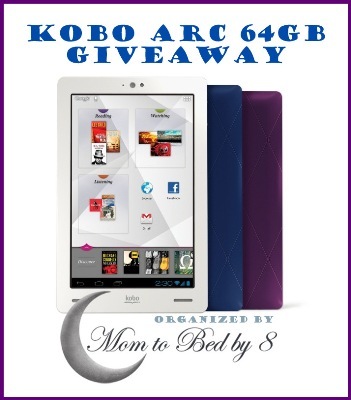 Giveaway ends Apr 12, 2013. My desk is always such a mess. I have pens, pencils, and note pads laying around my desk. 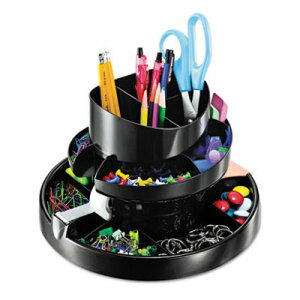 I was looking for away to get a bit more organized ~ and I found this Officemate Recycled Rotary Organizer at Shoplet.com. It has room for everything – my pens, scissors, clips, sticky pad, and even for my tape. I think this will help me stay organized and it doesn’t take up that much space. The organize has 16 compartments so all of my supplies will be within easy access and all in one spot. I am sure I will love using this Organizer! I also able to try an Officemate Portable Dry Erase Clipboard Case from Shoplet.com The case can be used for a lot of different things on the front there is a dry erase board so you can take notes or write directions. It also has a clip board to hold papers in place. When open it has storage inside for paper, pens, forms, notepads, clips or whatever you may need. It is made out of plastic so I am sure it would last for years. I can see that this would be very helpful for many people. 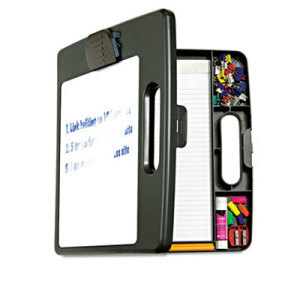 Both the Officemat Recycled Rotary Organizer and the Officemate Portable Dry Erase Clipboard Case are available at Shoplet.com, along with lots of other Officemate products and other brands of products you may need for your office or your home. Make sure you stop in and take a look at the products that Shoplet.com has. Easy ordering and delivery right to your front door. Well I had another good week on Nutrisystem I am down about a pound this week. Yahoo!! I am down a total of 9.4 pounds. I really am happy to see the scale go down. I of course would love to see more of a lose than a pound!! But I have to remind myself that I didn’t gain it overnight. This week I really focused on getting enough water in. I have always drank some water – but I wanted to increase it and have managed to get at least 8 large glasses of water a day. This week I had some good food to eat too. I love veggies and salads so with lunch I always have a salad with some veggies on it. Then for dinner I love to eat cauliflower and broccoli. I love them steamed or roasted in the oven with a little garlic! 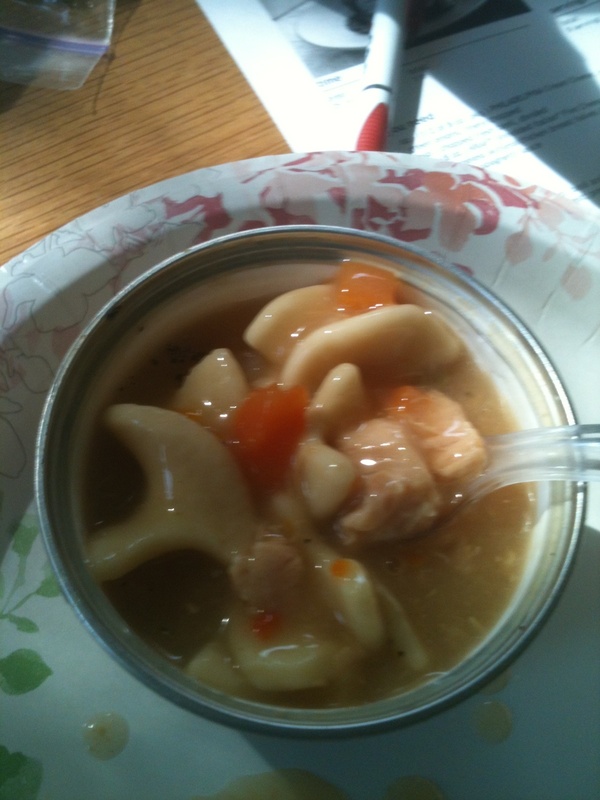 Here is the Nutrisystem Homestyle Chicken that I had for lunch yesterday – look at the big pieces of chicken and the yummy noodles. Today I am having Red Beans and Rice I think it is one of my favorites – it has chicken sausage and a spicy sauce. Tonight while everyone is having pizza I will have one of my pizzas too! I really love the variety and the ease of making my meals. The weather is getting nicer here in Oregon and they say the it will be in the 70’s! This week I am going to focus on walking more. I notice it is staying light till after 7:30pm so when I get home from work I am going to walk each night. What a great way for me to relax and get out in the fresh air. I know it will help me lose weight too!! I hope you all have a great week! The Nutrisystem program is being provided to me in exchange for my honest opinion and updates on my blog. All of my opinion are my own., though. Thank you for visiting Kaisy Daisy’s corner – Enter to win a The Honeywell True Hepa Tower Allergen Remover Air Purifier here. Good Luck! Open to U.S. residents only. Winner will have 48 hours to respond to winning email or another winner will be chosen. No exceptions. Sponsor (Kaz) has sole responsibility of prize fulfillment. I don’t think there is anything better than homemade bake items. I love all kinds of them. 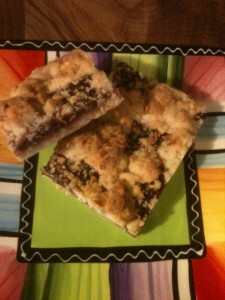 I recently was able to try some bars from Sweet Sally’s Bakeshop. They were love at first bite! Look how pretty they were packaged. Of course I couldn’t wait to open them. I tried 3 different bars the one here on the right were the Key Lime Bars and they reminded me of my favorite pie Key Lime. They were very flavorful. 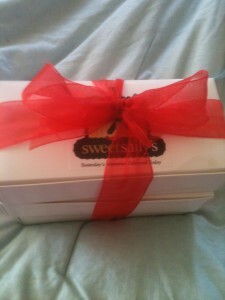 I wish I would have tucked one away for me to have later because once the box was open they were enjoyed by all! This is the Romantic Raspberry Square. 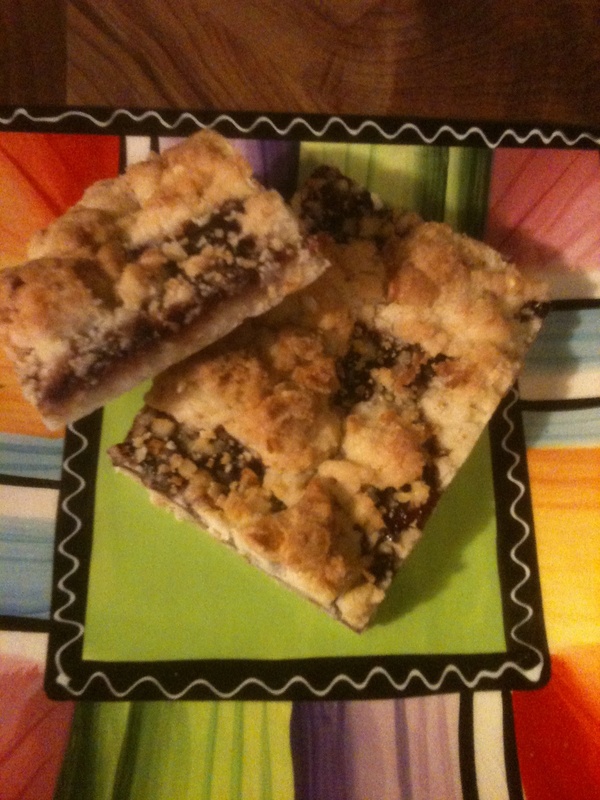 These squares have a dense buttery crust topped with European raspberry preserves and topped with a streusel containing coconut and walnuts. I love anything with raspberries in it so to me this was a winner. The buttery crust just melted in your mouth. 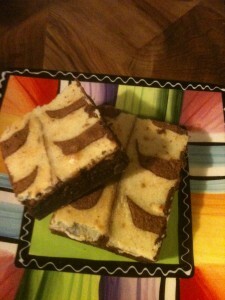 The 3rd item I tried was Cheesecake Brownies. They were brownies with a swirl of cream cheese and orange essence in them. Who wouldn’t like Brownies and Cheesecake? Two of the best things mixed together made it a hit. 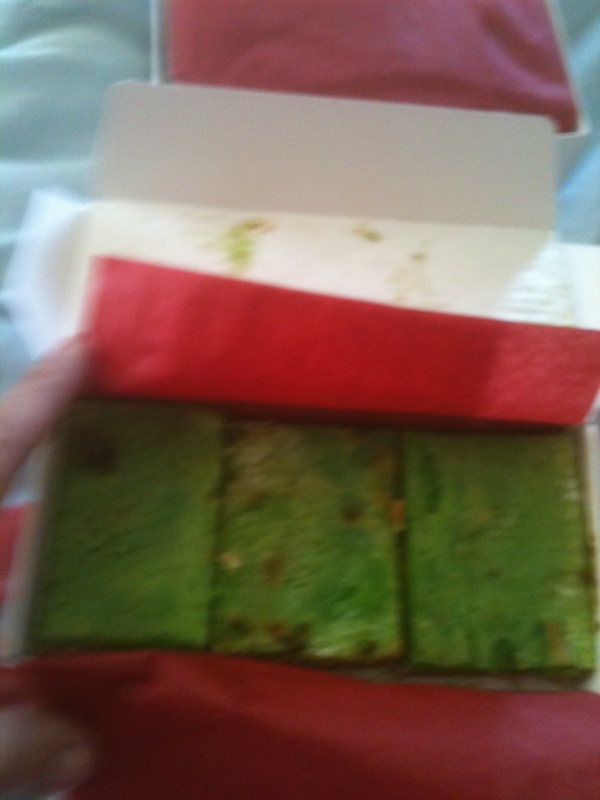 I have to say I loved all three bars and would be happy to eat them again. Eating these bars brought back memories of growing up and baking all kinds of bars and cookies at home. I have a big family so we did lots of baking. I just love the small and taste of fresh baked goodies. Sweet Sally’s has so many wonderful items it really is hard deciding what to try. They have cakes, cookies, scones, and even a line of gluten free items. Sally Saltzbart Minier opened Sweet Sally’s in 2008 after working on wall street and working for a couple hotel chains, decided to do something she loved and something she had been developing for many years. Many of the recipes that Sweet Sally’s uses are family recipes and some are new family recipes. You can order online HERE to get your own Sweet Sally’s items and see if they bring back any memories for you like they did me. Sweet Sally’s has offered to give one of my readers a box of the Key Lime Bars. In order to win you must be 18+ and live in the continental US and must provide a street address (no PO Box). Visit Sweet Sally’s and leave a comment on what sounds the most enticing to you. Follow Sweet Sally’s on Facebook and Twitter for extra entries. Extra entries for each way you follow Kaisy Daisy’s Corner. Giveaway ends April 11, 2013. Nothing I like better than popcorn. I love the smell of it and the taste of it. I love just plain and I liked flavored. G.H. 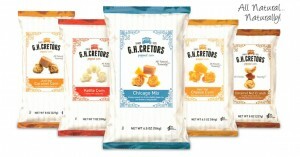 Cretors makes some of the best popcorn I have tasted. Their popcorn has nice big fluffy kernels and lots of flavor! They have Just the Cheese Corn made with real cheddar cheese, Just the Caramel Corn made one batch at a time, Caramel Nut Crunch with fresh roasted cashews and almonds, Kettle Corn he perfect combination of sweet and salty, and my favorite the Chicago Mix – Caramel Corn and Cheddar Cheese Popcorn mixed together. Once I started eating the Chicago Mix I had a hard time stopping it was so good, it is a great combination! They are all Natural. G.H. Cretors began back in 1185 when Great Grandpa Cretors invented the popcorn machine and began pperfecting the art of popping corn. His modern machine appeared at the Chicago Columbian Exposition in 1893, and for 5 generations the Cretors have been following Great Grandpa’s footsteps. They still taste test the recipes around the kitchen table. You can get G.H. Cretors popped corn online HERE or you can get it at Amazon.com. I have also found it at some Costco Stores. Don’t know which kind of G.H. 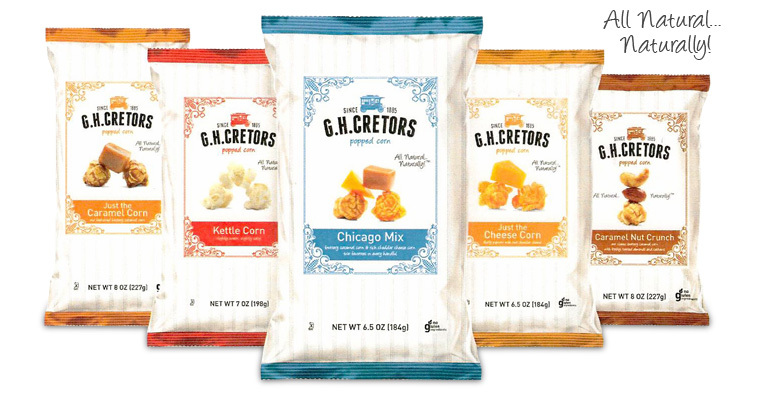 Cretors popped corn is your favorite yet? Order the sampler where you get 5 full size bags – 1 of each kind – delivered straight to you! You won’t be sorry! 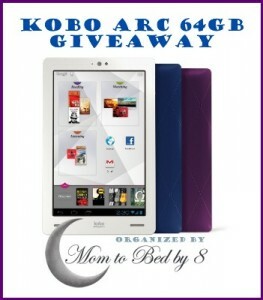 Thank you for stopping at Kaisy Daisy’s Corner – Wouldn’t it be great to win the Kobo ARC 64GB? Good Luck! Have you been looking for unique and personalized items? Posy Lane has some great items including Bath Towel, Bath Robes, Travelers Bag and what I was looking for was a Tote Bag. I wanted a Tote Bag that was big and roomy. I sometimes stay over a friends house and have had trouble finding something just the right size. It will also be great to bring on a plane or to the coast for the day. It is big and roomy! Isn’t it great? My bag is made out of Canvas so it is stiff and will hold up well, but they have totes made out of nylon and seersucker which softer in construction and generally conform to what is inside. Posy Lane carry a lot of different colors – so there is something for everyone. 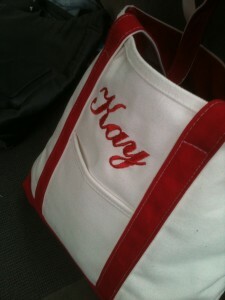 My bag is great I know I will use it a lot. I like that it has a pocket on the outside so I can put my keys or phone in it for easy accesses. Posy Lane carries a ton of products. They have Personalized Ink Stamps, Phone Cases, iPad Cases, Mouse Pads, Stuffed Animals, Memory Books and much more. It is amazing all the different items they have and that they can personalize them just for you or a special someone you are looking to give a gift to. Posy Lane, Inc was founded by Kerri Barton in 2007 and her husband Nathen. They actually had a store located in McKinney, Texas. Customers loved the unique gifts they found for every occasion. After two years and a first baby the couple decided to focus exclusively on the internet sales. This had paid off and now you can find unique and personal gifts at Posy Lane. So if you are looking for a gift make sure you stop HERE first.